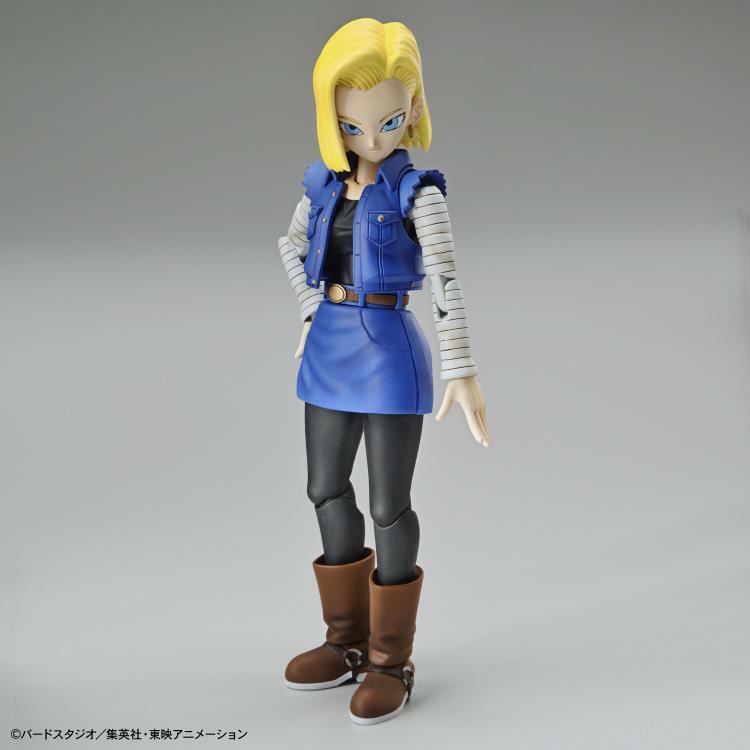 The infamous Androids are about to awaken! 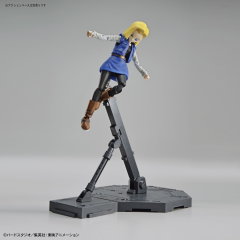 Coming to Figure-rise Standard: the Android series is about to launch! 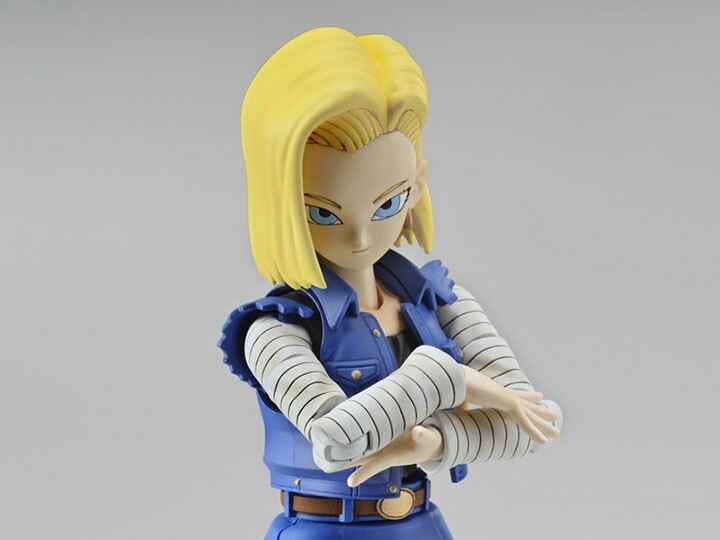 Muscles may be irrelevant to Androids, but instead of muscles, these Androids pack a secret … bombs! Recreate the bombs inserted by Dr. Gero in the anime. 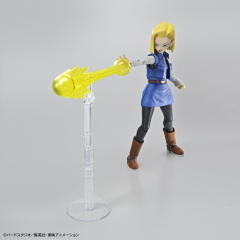 With this model kit, users can enjoy the unique experience of creating internal bombs. 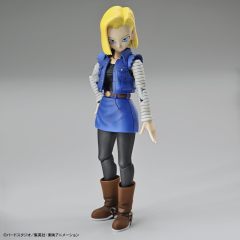 Of course, the Androids can also be assembled without using the bomb parts for a "bomb-free" construction! 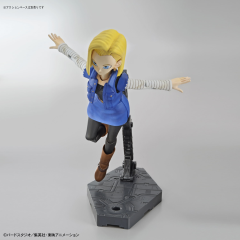 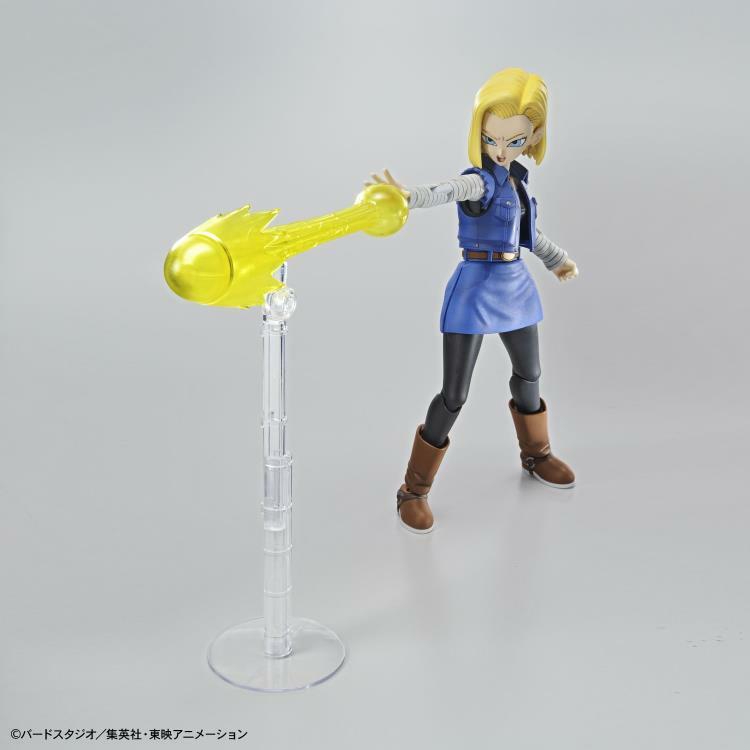 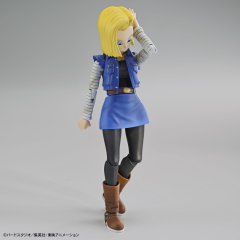 Android #18 is outstandingly moveable and can recreate the femininity she had shown in the anime! 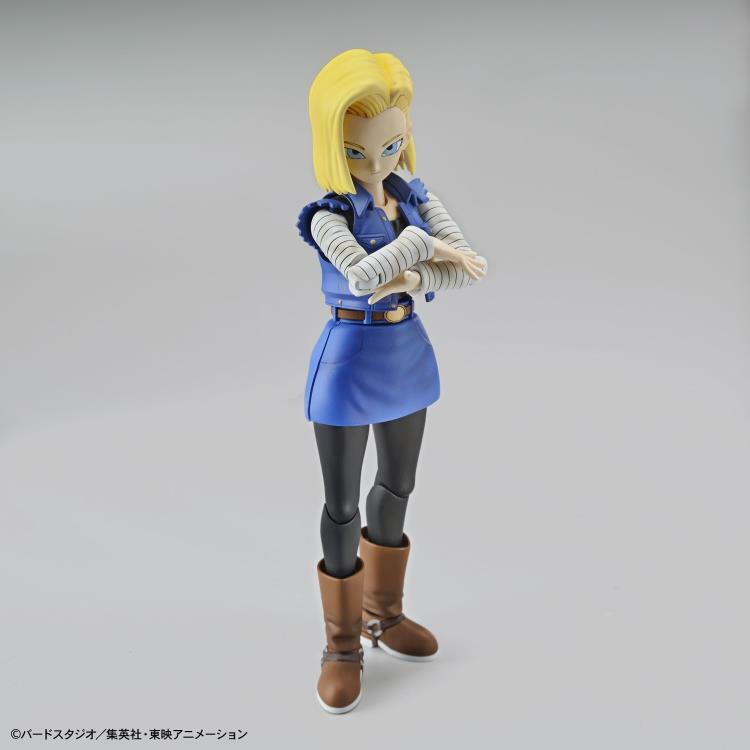 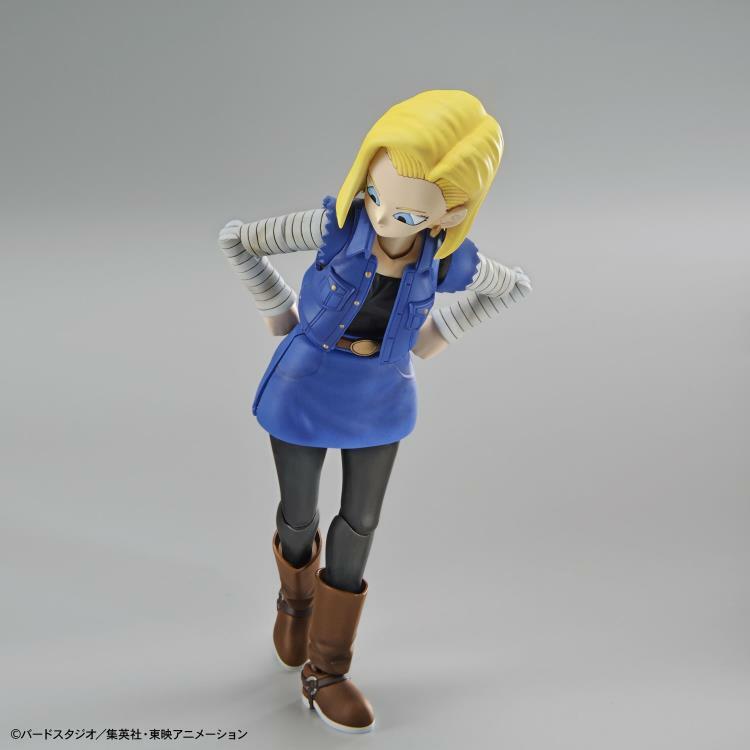 Even her skirt and jacket is made of a soft material and Android #18's jacket can be removed. 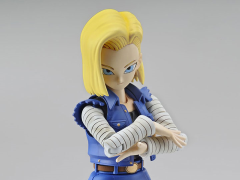 With three types of facial expression parts included (normal, expressionless, and angry), you can recreate your favorite scenes!